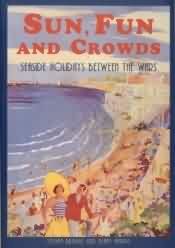 This book explores all the facets of the seaside holiday: where people went, and why; how they got there; where they stayed; what they did; and what they wore. It is richly illustrated throughout with a mixture of contemporary photographs and postcards, publicity material, posters and modern images. The book, of course, features seaside amusement parks, with a look at the appeal of Blackpool Pleasure Beach.